Ashcroft goes for Belize’s jugular! BELIZE CITY, Thurs. Jan. 26, 2017–British billionaire Lord Michael Ashcroft on Monday went back to US courts asking for an order to force the financially-embattled Government of Belize to pay him US$50 million—this after Prime Minister Dean Barrow publicly vowed not to pay a penny towards the arbitration awards, racked up following disputes over a set of 2005 contracts which included tax concessions given to the wealthy telecommunications and banking mogul by the former People’s United Party administration. The Government has taken the position that the Central Bank’s foreign holdings are not the property of the Government of Belize and so cannot be used to pay the arbitration awards; however, Amandala is reliably informed that both the Government of Belize and the Central Bank of Belize have been warned that Ashcroft intends to move against Belize’s foreign currency reserves, mostly held in US banks. We are told that the foreign currency position of the Central Bank is estimated at US$377 million today; just enough to cover our import requirements for about four months. If payments are made from the reserves to satisfy the award, it would substantially weaken the country’s foreign reserve position. Amandala understands that the Central Bank has taken precautionary measures to protect our reserves. 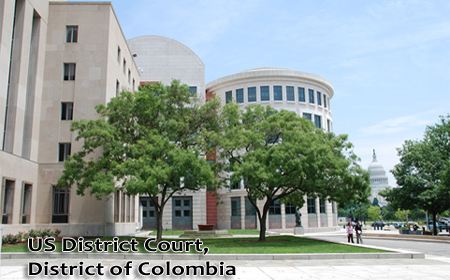 In the petition which the Ashcroft Alliance filed in the District of Columbia’s District Court on Monday, it is seeking a motion for an order to authorize the enforcement of judgment against the Government of Belize. In one case, Belize Social Development Ltd. is claiming US$22.5 million, while in the other case, BCB Holdings Ltd. (now Caribbean Investment Holdings Limited) and its subsidiary, the Belize Bank Ltd., are claiming US$27.4 million. “Belize should not be permitted to delay enforcement of the Judgment any further,” the petitioners argue. “First, it is undisputed that Belize has had notice of the judgment…. Second, a reasonable amount of time has passed since the judgment was entered more than a year ago for Belize to satisfy the judgment,” the filing said. One of Ashcroft’s attorneys has previously said that the litigants can ask the court to enforce the award if they can identify assets in the US—and in this case financial or material commercial assets—to claim. The court has acknowledged receipt of the petitioner’s motion, and has asked the respondent, in this case the Government of Belize, to respond by no later than February 7, 2017. The petitioner shall, then, file a reply by no later than February 14, 2017.